Since the beginning of time, man has been working in the dirt. From the earliest cave-types, we have been digging holes. Our structures, houses too maybe only a manipulation of our landscape – the earth. 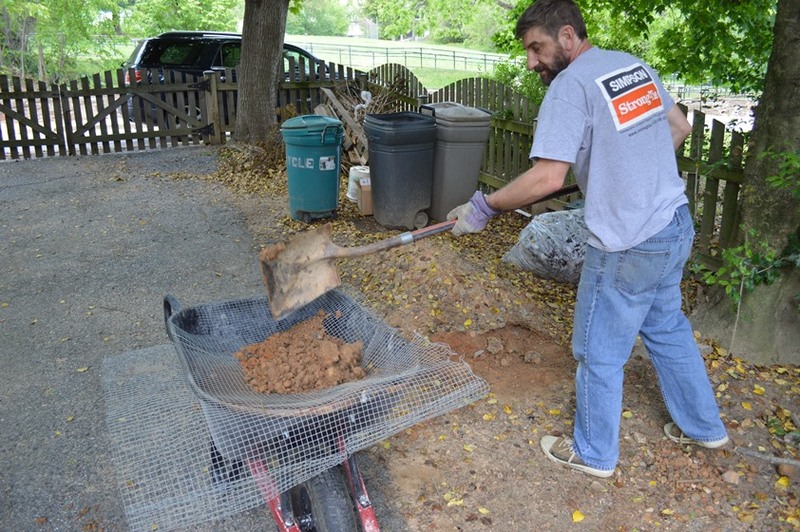 Our tools have been central to these achievements, the least of which – the humble shovel. 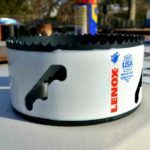 With this company representing something like 90% of all non-powered lawn and gardening equipment (across their many brands – AMES, True Temper, Union, Jackson, RAZOR-BACK and more), I figure looking at this company’s offerings alone would be a pretty decent representation of the state of shoveling as a whole. 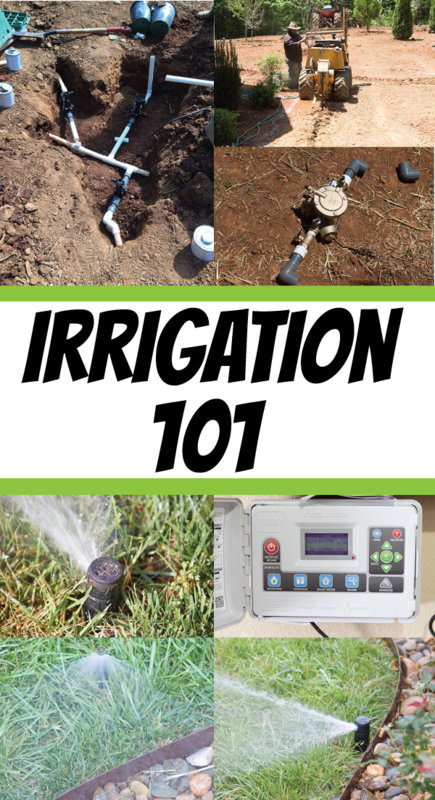 Many construction disciplines (asphalt, concrete, brick laying, roofing) along with landscaping use shovels, but my focus for this article will remain centered around … working in the dirt. What’s the Difference Between a Shovel and a Spade? That said, it’s probably fair to say that all spades are shovels, but not all shovels are spades. Well, a place to put your hand. All fiberglass-handled products will have a grip as to eliminate the possibility of splintering. On some shovels, and typically shorter-handled tools, you’ll find a D-handle (turned sideways – forms the letter ‘D’). D-handles are often more space-efficient and a good value especially with what I’ll call “tuning work.” The D-handle is often found on border and/or drain spades. Fiberglass or wood. Wood handles are typically Ash (while striking tools often get a Hickory handle). Buying Tip – Look for wood handles with a grain that is aligned and runs perpendicular to the blade. 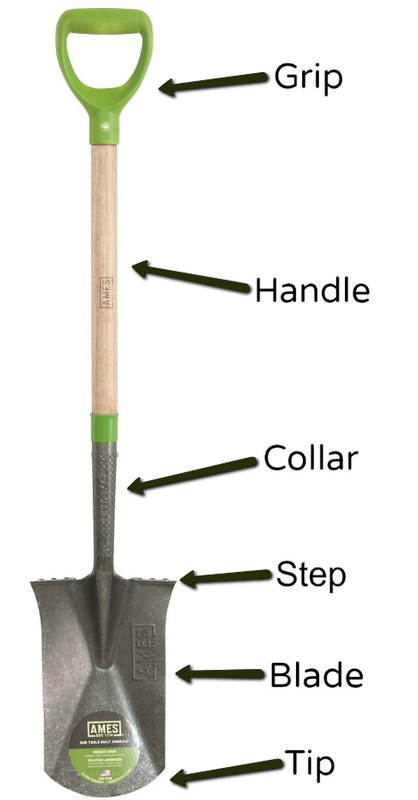 Short-Handled Shovels often come with a D-shaped grip (as noted above). Long-Handled Shovels are often, well, longer and taller. This is the point at which the handle transitions to the blade. 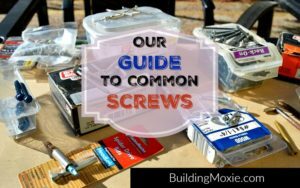 Here you’ll typically find some means of fastening – a nail or a screw, while a rivet is preferable and is often used on higher-end shovels. At the top of the blade, you’ll find a place to put your foot. AMES has developed a patented turn here. On AMES lines, this is called the “Comfort-Step”; on RAZOR-BACK lines – the “Power-Step.” This cleat gives more surface area for addressing the shovel and helps hold material on blades. AMES’ Product Development says their new step feature may in some cases compensate for poor footwear choices. Notice a step is not present on scoops nor are they found on hand or other specialty tools. Almost invariably made of stamped steel, aluminum or poly. Scoops come in a #10, #12 and #14 blades with #12 being the most popular. 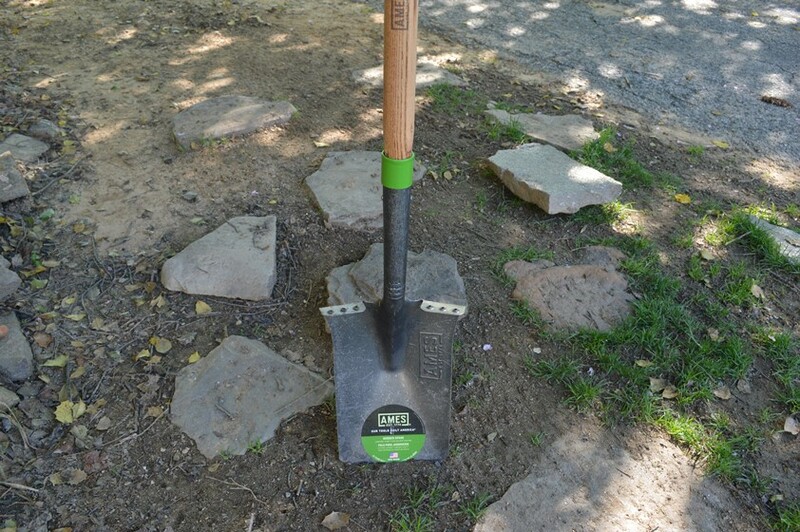 Round-point shovels come in a #2 sizing, but are also categorized as #1, #0 and #00. For AMES, blade sizes are the same across any one line. 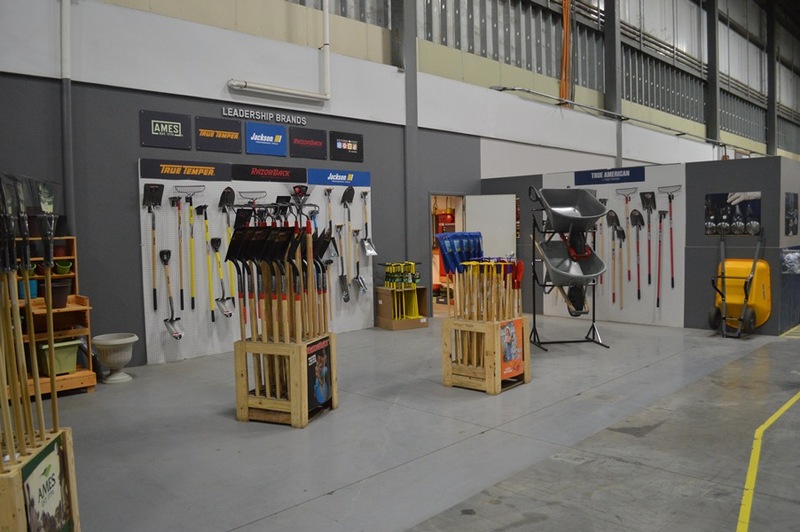 Some options here for steel-bladed shovels may include tempered (for increased strength) and/or forged steel. These are not finishes per se and as I understand it, there is some variation in how exactly items are forged. On the back side of the blade, and just down from the collar, you’ll find a the roll referred to as the frog – a long-used blacksmithing term. * Tip – aka the Point and basically the shape of it. 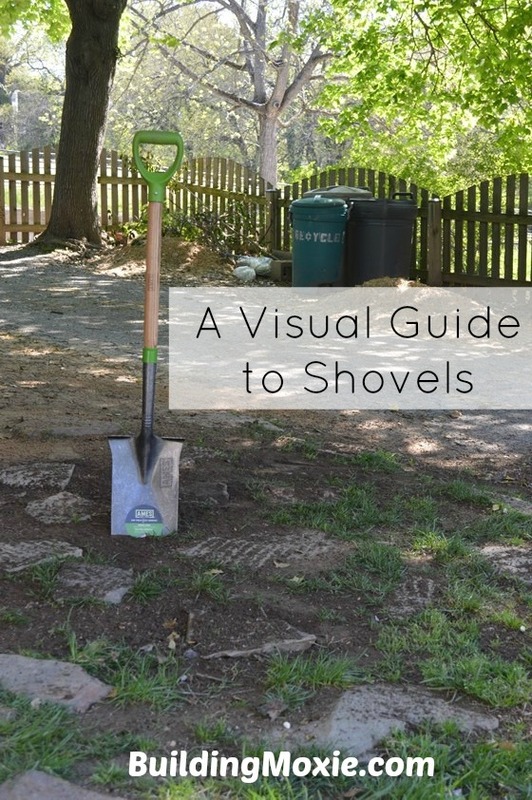 Different types of tips are applied to different types of shovels and ultimately, aid in allowing the shovel to achieve its intended purpose. 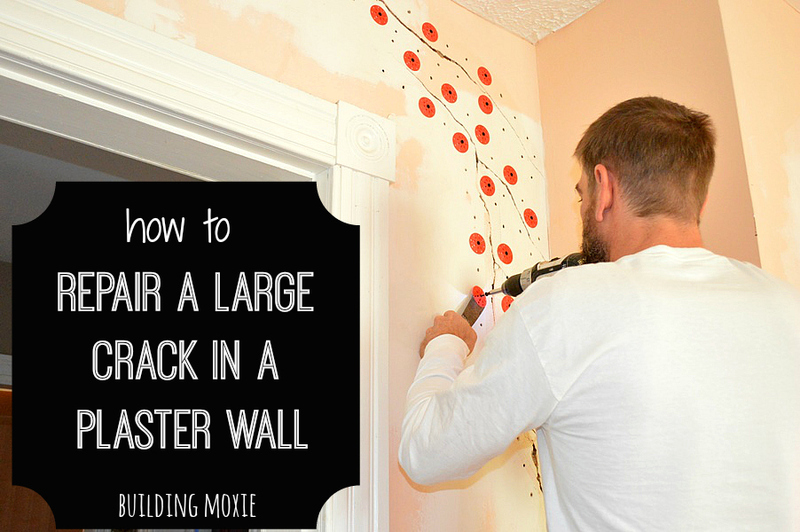 After you half-laughingly brush this off… and admit it – it’s not like we ever got instruction on it. Your dad probably handed you a shovel and just said “Dig!” Mine did. With AMES’ help, here is a look at the most common types of shovels as grouped by their application. Priming your snow shovels – There are many home remedies for minimizing the sticking of snow to your snow shovel: WD40, Teflon Spray, PAM. But the single best tip the team offers – get the shovel out early, let it sit out in the cold and, essentially, prime. For more on selecting the right shovel for a given job, here’s a good article from Gizmodo – The 8 Types of Shovels Everyone Should Know. That’s it. Thanks out to Jim Maffei and AMES for their help with putting this article together. More on them, including all the brands falling under their umbrella, here. Shop Now at the Ames Shop on Amazon. 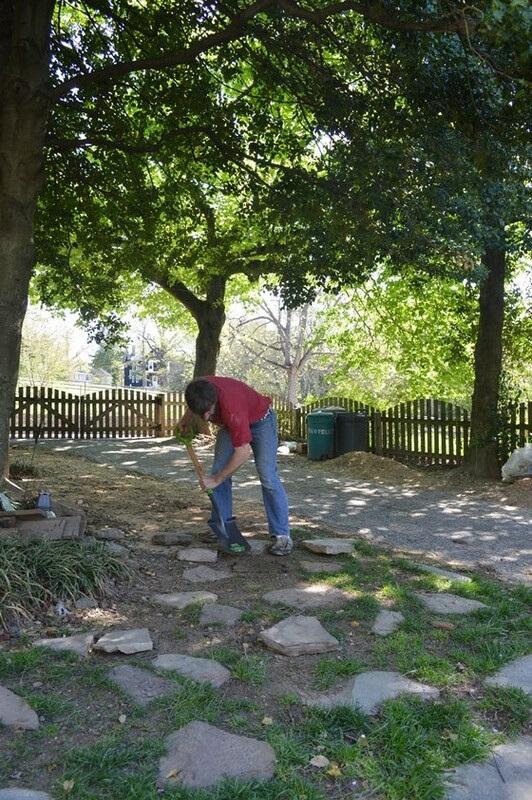 For plenty more helpful tips: Guides from Building Moxie and Building Moxie Does Landscaping. Not all shovels are created equal. Thanks for teaching me. I love the industrial strength scoop shovels and snow shovels. Growing up in New England, I instantly go back to the big Blizzard of 1978. I was ordered out in the driveway with 50mph winds to keep shoveling. I think this job was an excuse to get me out of the house. Hmmm. Your info on shovels was helpful, clear, & informative. Thanks!